Located off Route 2 between Greenfield and Shelburne Falls, Mt. Mohawk ski area operated for nearly a quarter of a century. After sitting idle for decades, the former ski trails are generally unrecognizable by tens of thousands of Berkshire East and Mt. Snow skiers who drive past them every day. Lift served skiing at Mt. Mohawk likely dates back to 1957-58, when the Mohawk Skiway opened as a small rope tow area. Located several hundred feet higher than nearby Greenfield, the area could sometimes see more snow and lower temperatures than the populated valley below. The ski area was operated by Greenfield attorney Philip H. Ball Jr. for its first half decade. The rope tow served ski area was expanded upward in the late 1950s and early 1960s, paving the way for new ownership and larger operations. In 1962-63, property owners Walter C. Richardson and his wife Ethel Mae (owners of the adjacent private Roberts School since 1955) took over the operation of the area, renaming it Mt. Mohawk. Two new Mueller T-Bars were installed that season - 650 and 2,000 feet long. The lift parts were reportedly delivered with the new Chair 2 at nearby Thunder Mountain. The lifts were paid off in three years. Some of the trails featured dramatic views of Mt. Monadnock. Mt. Mohawk likely reduced its operations to just one T-Bar during the late 1970s, opening generally only on weekends and holidays. The area was likely operated by Mt. Mohawk, Inc. starting in January of 1979. Mt. Mohawk likely closed sometime between 1980 and 1982 after one or two snowless winters. Mt. Mohawk, Inc. was dissolved in late 1983. Years later, a new building was constructed adjacent to the main T-Bar, becoming home to multiple businesses. Meanwhile, a sizable portion of the ski area may have been purchased in 1993 by Camille Cosby, wife of comedian Bill Cosby. 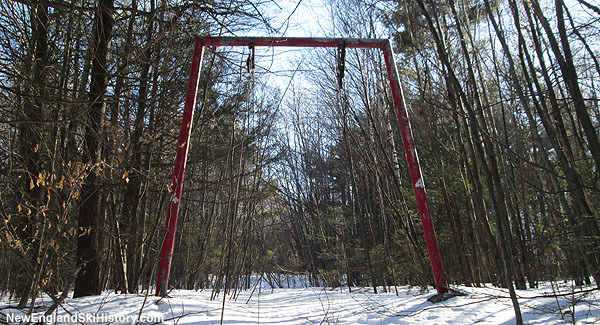 While the trails have grown in, both T-Bar lifts remain standing in the woods. "My grandfather took my brother and sister and I there to learn how to ski around 1970. We took ski lessons from the Richardsons son every weekend for a couple years in the mornings and skiied on our own in afternoons. Great memories. 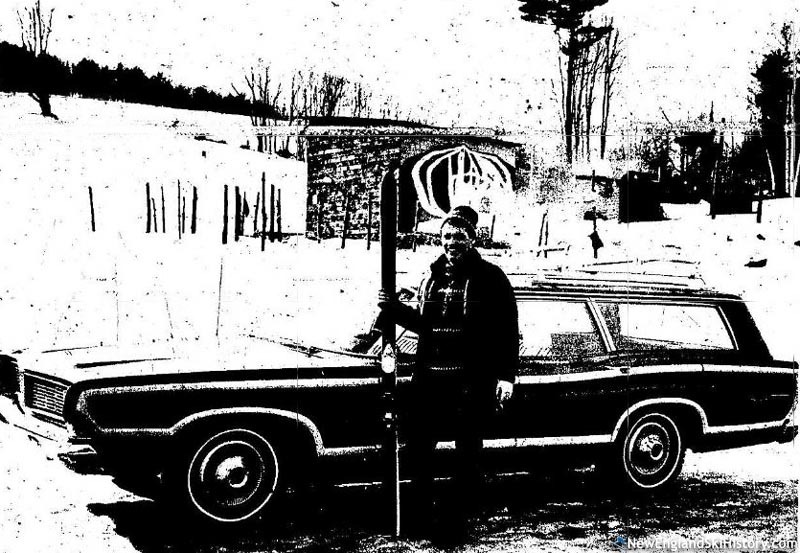 Im still skiing 50 years later and smile every time I drive by on my way up to the bigger mountains these days." "My family and I all learned to ski on the Mt. Mohawk trails in the 1960s. It was a terrific family ski area - affordable, just the right size, and, most importantly only a few minutes from downtown Greenfield. This meant we could easily get to the slopes in under 20 minutes. It was a great jumping off point to the larger and more challenging ski areas in NH and VT."
"I was a student ski patroler there during the winters of 74-77 and can say it operated on weekdays as high school students like me skied after school every day. It was a natural only area with fairly decent pitch, rock hard moguls and tight trees. You can still see the t-bar supports as you drive by. It was a great family mountain with a vibe like the current Cochrines in Vermont"